Fax machines are undeniably one of the earliest office technologies that broke down distance barriers and enabled fast communication for businesses. In today’s increasingly mobile business world, though, fax machines hooked to phone lines present more obstacles to workplace efficiency than actual benefits. Fortunately, there is a better option available: virtual faxing. Also known as online faxing, electronic faxing, e-fax, or Fax over IP (FoIP), virtual fax is a feature offered by many Voice over Internet Protocol (VoIP) service providers. It allows users to send and receive faxes from their desktop or mobile device and even view faxes from their email. The ability to send paperwork without the hassle of wasted paper, expensive toner, or a clunky and noisy fax machine allows businesses to save time and money, therefore boosting efficiency. 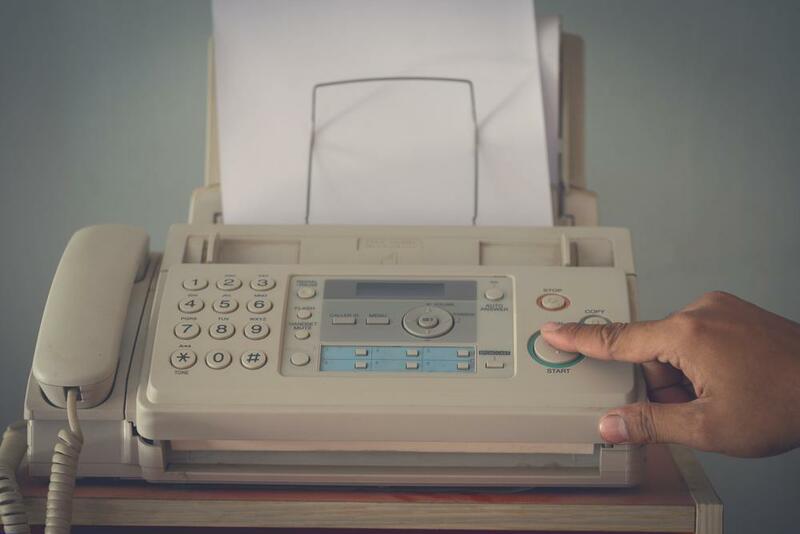 Traditional fax machines require employees to be in the office in order to transmit files or information to prospects, current clients, and other team members. This means exchanging vital information may be delayed (especially depending on an employee's schedule), which may lead to missed opportunities and other potential consequences. With virtual faxing, teams can exchange information faster as they can use their smartphone or mobile device to send and receive documents from anywhere. Virtual fax is also perfect for companies that want to cut their impact on the environment while achieving efficiency and cost savings at the same time. By using a VoIP phone system’s e-fax feature, businesses can reduce the amount of paper they consume for (often unreadable) faxes and eliminate the need for ink and toner cartridges that currently pollute our landfills. The money saved on supplies can be used for other more urgent business expenses or for investment opportunities. Faxing the traditional way can be a time-consuming process, and can take anywhere between 8 to 20 minutes from start to confirmation. This does not take into account any broken connections, wrong numbers, busy signals, and the time it takes for employees to travel to and from the fax machine and their workstations. VoIP’s faxing feature allows employees to fax documents while at their desk, while meeting with a colleague, or when they're on the road. This saves employees time to focus on more important tasks. Another way online faxing increases efficiency is the little to no training required to use it. Practically everyone can do it. There’s no need for extensive training to help employees familiarize themselves with the interface, unlike traditional fax machines where staff needed to study the machine to fully grasp the included features. Virtual fax keeps the learning curve low because employees can simply use their computers or mobile device to check their email for faxes. In addition to saving time and money, virtual fax also increases workplace efficiency by ensuring that important documents are saved and not easily lost. This is because faxed documents can be printed and saved online for ease of use. Delivery confirmation receipts can also be saved in your email and are readily searchable, making it easier for you to retrieve a document in case you lose a hard copy. Fast, versatile, environmentally-friendly and cost-efficient – these are just a few attributes of VoIP’s virtual fax feature that businesses cannot afford to ignore. And the great thing is most VoIP service providers carry this feature for free or for a minimal cost. VirtualPBX, for instance, includes an internet fax feature in their Office Plan at no extra cost. Jive also incorporates this functionality into their plans at no additional cost. Vonage, meanwhile, offers this feature for $14.99 per month; while RingCentral’s internet fax solution starts at $7.99 per month.